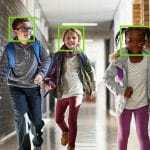 RealNetworks has launched a new product to integrate its SAFR biometric facial recognition live video platform with leading video management systems (VMSs) to give security professionals enhanced visibility and situational awareness, the company announced at ISC West. The new SAFR for Security will be marketed to customers with large facilities such as hospitals, stadiums, corporate campuses, airports, and other enterprises to enable security professionals to maintain high awareness over a large area with many security cameras, and focus on key details to make accurate assessments. SAFR for Security is available as a standalone solution or with market-leading VMSs, and can match millions of faces in real-time with 99.86 accuracy, according to the announcement. 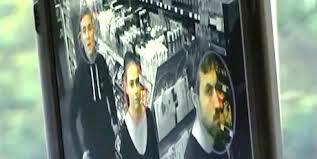 The integration provides video overlays within the VMS to identify employees, VIPs, strangers, threats, and other tagged individuals. Real-time alerts can be customized by security teams, and automated bookmarks can be generated for forensic analysis. Security professionals can also perform searches based on rich metadata, rather than sifting through large volumes of video footage to find a certain person. RealNetworks has announced a partnership with Milestone Systems to integrate SAFR for Security’s facial recognition technology with Milestone’s XProtect VMS. SAFR for Security has also been integrated with the Genetec Security Center unified security platform. The SAFR platform supports deployments from a single PC to a distributed architecture hosted on-premises, in the cloud, or in a hybrid environment, and all data is protected with AES 256 encryption. RealNetworks recently reached a distribution agreement with global video surveillance company Digifort.